Did the Teddy Boy Phenomenon start in Elephant & Castle? is an article that has been written by John Prendergast a Jounalist for the Southwark News and was published on Thursday 6th October 2011. If your view of a 'Teddy Boy' is of colourful suits, giant suede shoes that could be any colour of the rainbow and is based on Showaddywaddy performances from the '70's, then you are wide of the mark. Tony Reuter, one of the original Elephant Boys showing off his knife in 1955. "No self-respecting Teddy Boy would ever associate themselves with groups such as Showaddywaddy, who were an embarrassment to the Rock n Roll scene." said John van Rheede Toas, also known as Rockin' Nidge, who is something of a Teddy Boy historian. Having adopted the lifestyle for some 39 years, his excellent website 'The Edwardian Teddy Boy' documents how the movement became so widespread and the ethos behind the still thriving scene. Any self-respecting 'Ted' is of course immensely proud of their look, based on the fashion styling of the Edwardian era, which Saville Row tailors were attempting revive in the 1940s. 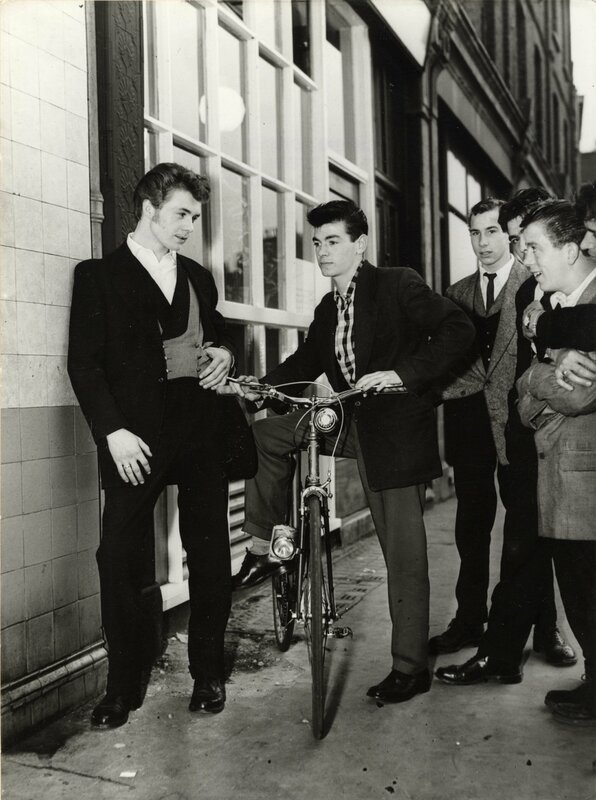 Whilst the stylised suits caught on with the its target upper class audience, initially it proved to be short lived - instead working class boys from south London adopted and tinkered with the style to produce the original Teddy Boy look that many are still keeping alive today. It was in the early '50's when the change began to take place and first to adopt the style were boys from the Elephant & Castle. An excerpt from the site reads: "Around 1950/51 some young men around Elephant & Castle and Lambeth having appropriated the uptown Edwardian clothes started to mix it up with the look of a World War II spiv. But also borrowing from the hairstyles of American Westerns (the Mississippi Gambler Bootlace Tie, for instance) that were hugely popular in the early fifties." It later goes on: "It would seem however,, that there is a strong case to suggest that the gang from Elephant & Castle who had been impressed with the upper class Edwardian dress that they had seen in Mayfair, were in fact the first to start the Edwardian working class style in 1950/51. This was later described in T.R. Fyvel's book "The Insecure Offenders" as being The Fashion from the Elephant, in other words it can be said that "The Elephant Boys" were the first Teddy Boys!" Teddy Boys outside the Elephant & Castle Teen Canteen in 1955. Rockin' Nidge added: "Other people will tell you it started in the East End, but I would suggest that the Elephant was the area where the fashion really started." The look didn't come cheap as the flashiest suits with all accessories would set you back around £50. As the average weekly wage was around a fiver in old money looking the part didn't come cheap - even a pared back version which would cost a princely £20 at least. The look may have been slick and easy on the eye but in the early days it came with other connections, namely criminality.The Elephant Teddy Boy scene was like the area linked to criminality with the 'Elephant Boys' being one of the primary gangs to operate in the area. They were said to operate protection rackets and were heavily involved in organised violence, giving the look an unwanted link to crime which many of its followers didn't follow. 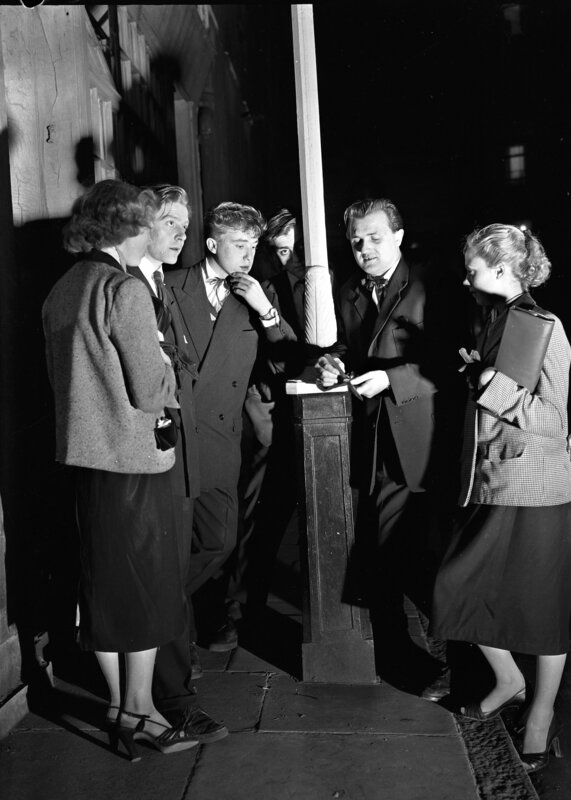 The reputation was not entirely unwarranted however and a showing of 'Blackboard Jungle' at a cinema in the Elephant & Castle in 1956 led to carnage inside. 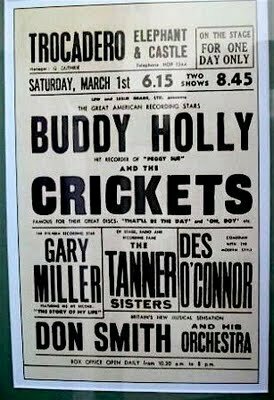 The audience, made up largely of Teddy Boys, tore up seats and danced in the aisles. Other showings in the country then mimicked this initial outbreak of lawlessness. 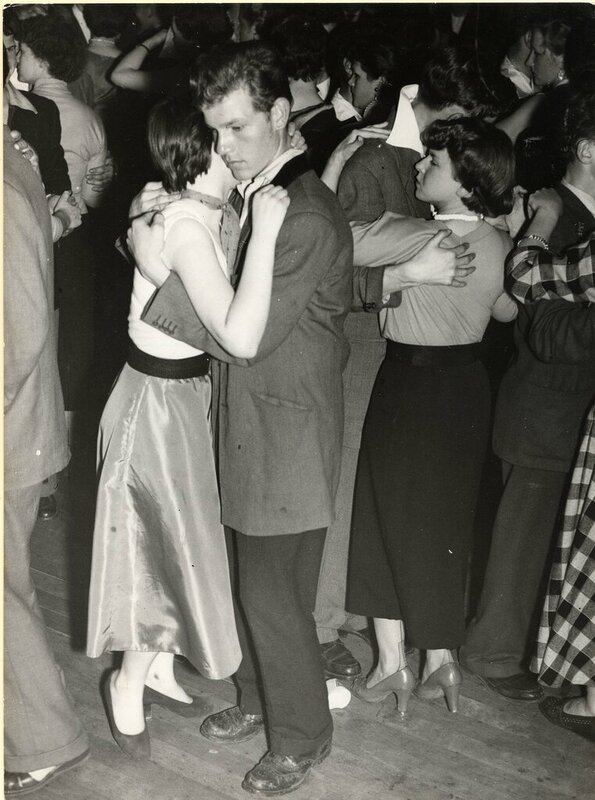 A Teddy Boy 'Moon Dances' with his Girl at a Elephant & Castle Dance Hall in 1955. After a lull in the late 50's the scene had something of a revival in the late sixties and became heavily associated with Rock and Roll music. The image changed too with lapels and trousers getting narrower but otherwise the original Edwardian image was largely followed. "Winkle pickers should not be associated with Teddy Boys." Nidge said. "Winkle pickers were an early 1960's fashion which later became popular amongst a number of Teddy Boys in the 1970's and an astute Teddy Boy would not wear them preferring to stick to the original styles of footwear such as Oxfords, Eaton Clubman's or low 1 inch Brothel Creepers." The scene that is thought to have sprouted from the Elephant & Castle is still alive today and Nidge is keen to document just how it came about before the largely oral history is no longer attainable. But he is keen it loses some of its early baggage: "Our message is that the Teddy Boy scene now is not about hooligans and it is a serious business about going back to the original pre 1955 Edwardian image. A lot of people think of a Teddy Boy and think of the flamboyant image from the '70s but it simply isn't like that." Whatever you do don't mention Showaddywaddy, I mentioned it once to Nidge.... and I think I may have just about got away with it! The photograph at the top of this page: Tony Reuter, one of the original Elephant Boys showing off his knife in 1955 is taken from the book: Vanishing London by Paul Joseph.